I met with Bruno, Ewan, plus several other friends and business owners in the Electric Bike Scene at this years 2017 Taipei Bike Show. It was great fun and we even managed to look at a few bikes too 🙂 Lots of Electric Bikes, Ebikes and Electric Bike Batteries were on display at the Show. After the Show, Bruno and Ewan (E-Max) managed to get over to China and we were very happy they could spend a couple of days in Changzhou with us at our Electric Bike Battery Factory. This was a video Bruno shot during their visit. It was really great fun having them over. You can read more about Bruno’s visit here, on our EM3ev Facebook page. Feel free to Like or Follow our page if you like what you see. You can find some of our Electric Bike Batteries in this section of our website. If you have any special requests or would like to know more, please get in touch with us via the contact page and we’ll be happy to discuss. 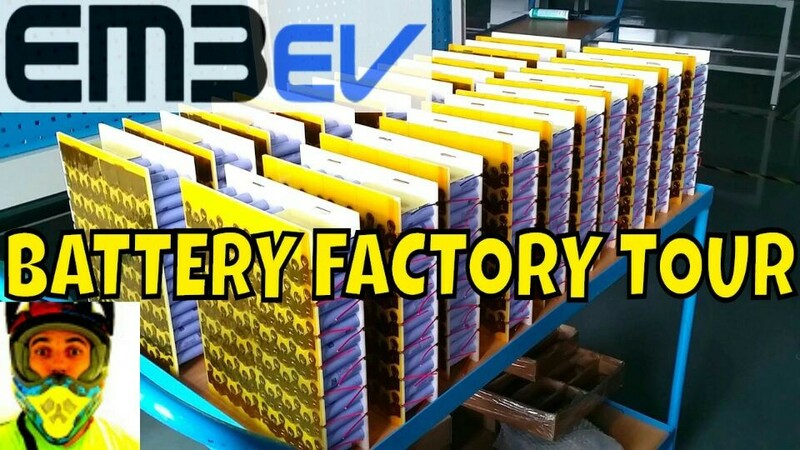 As you can see in the video, EM3ev are not just a supplier of Ebike Parts, we are also a manufacturer of Ebike Battery Packs (we have been building batteries for around 6 years) and we have also built battery packs for larger EV applications, even a car. Our battery packs have numerous safety features that you will not find on most other battery packs and we use only premium Grade A 18650 cells from the best Cell Manufacturers. We are constantly improving and developing our batteries and also our Electric Bike Battery Factory. are your batteries compatable with other hub motor manufacturers? Sorry for your comments were mixed up spam. For the most part, yes. As long as the motor is not part of a proprietary set-up - it is compatible. Though the discharge lead connector will have to match. can your hub motors come in a 28" wheel? Ive watched the video on burno's channel. I love your work and would one day love to own a battery. As of right now i dont have the money but i plan to buy one soon. Keep up the good work! I lasted 14 minutes into Bruno's video before putting in my first order with you guys. I didn't know that there was this much engineering going on at EM3EV ! Just thought you were a store like Luna, but hell no ! Keep up the good work !